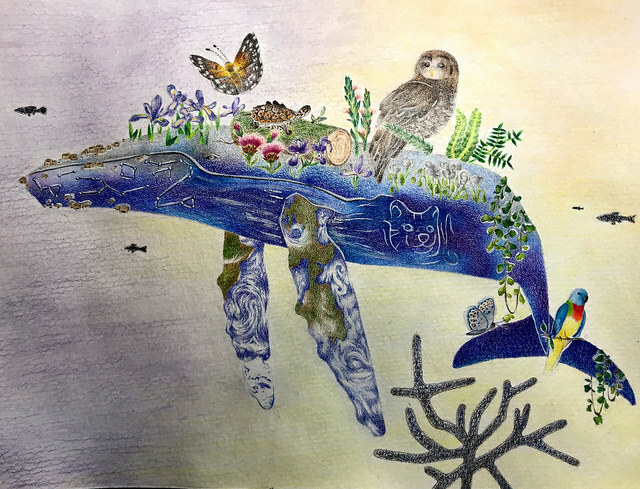 “Humpback Whale” by first-place winner Erin Dong, a ninth grader from Santa Clara, Calif. The grand prize winner is Brandon Xie, a fourth-grader in Lexington, Mass. He received his award last week in Washington, D.C., during a reception of the Association of Zoos and Aquariums. His prize will include art supplies and a lesson from a professional wildlife artist. Kindergarten-second grade: Sean Lam, a first-grader in Great Neck, N.Y.
Grades 3-5: : Kyle Xu, a third-grader in East Brunswick, N.J.
Grades 6-8: Maggie Wu, a sixth-grader in Great Neck, N.Y.
Grades 9-12: Colin Phillips, an 11th-grader in Ikemos, Mich.
See all the winners on the Endangered Species Coalition website. 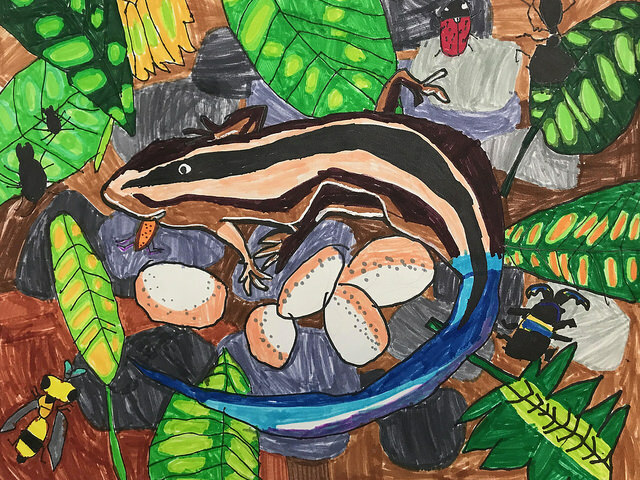 “Blue-tailed Skink” by kindergarten-second grade winner Sean Lam, a first-grader in Great Neck, N.Y. 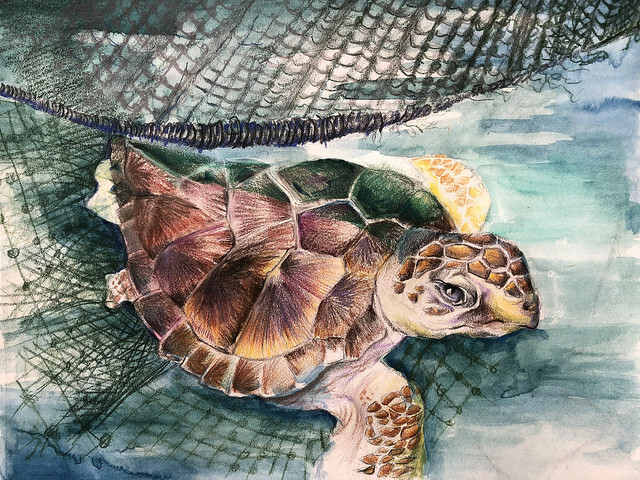 Contest winners were selected by a panel of prestigious artists, photographers and conservationists, who first narrowed down the entries to 40 semi-finalists (10 for each category). The artwork can be viewed by following links on the Endangered Species Coalition website. Judges included Wyland, a renowned marine life artist; Jack Hanna, host of Jack Hanna’s Into the Wild; David Littschwager, a freelance photographer and contributor to National Geographic Magazine; Susan Middletown, a photographer whose work has been published in four books; and Alice Tangerini, botanical illustrator for the Smithsonian Institution.